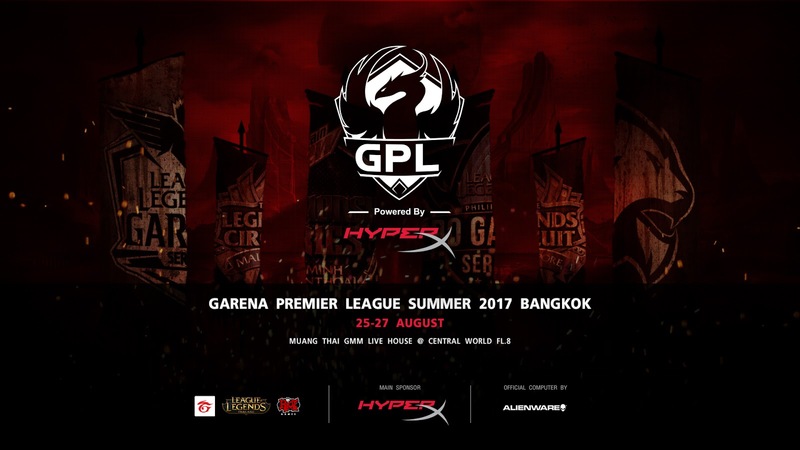 HyperX, the gaming division of Kingston Technology, today announce the title sponsorship of the Garena Premier League 2017 Summer Split, the biggest League of Legends tournaments in Southeast Asia. Elite teams from Thailand, Indonesia, Malaysia, Philippine, Singapore, and Vietnam will meet in Bangkok, equipped with HyperX gaming peripherals and fight for the spots to 2017 World Championship! GPL Summer 2017 will take place at Mueng Thai GMM Live House in Bangkok, Thailand from August 25 to 27. Seven teams from six countries will prove their strength and compete for the biggest prize of $30,000. Being an avid supporter of eSports and the gaming community, HyperX are at the forefront of delivering award-winning products and unparalleled performance for teams to take their game to the next level. With the highest quality gaming headsets, keyboards and mice, HyperX will carry on its support to the GPL Summer 2017 and bring the best competitions to SEA gaming fans.